Still pumping your watermelons full of vodka? What is this, summer camp? You're in the real world now, it's time for an adult solution to your fruit-based adult beverage storage needs. Maybe one that even involves a spigot. 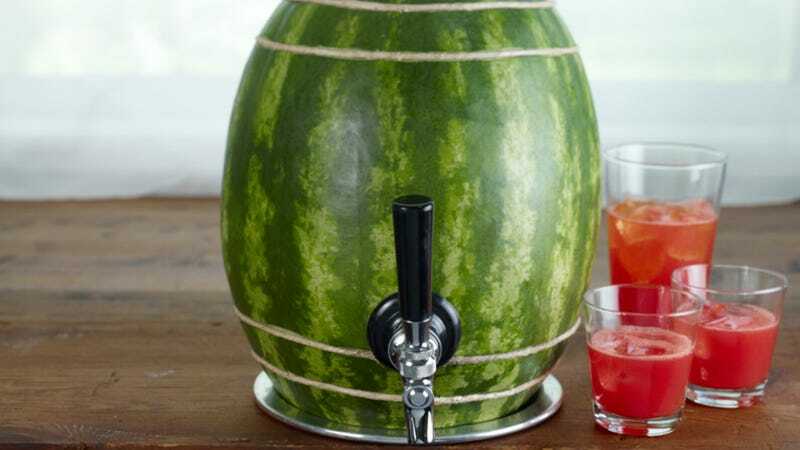 The instructions for the Watermelon Keg come from none other than the National Watermelon Promotion Board—which is an actual thing, apparently. Essentially you slice off a thin layer from the bottom end, slice open the top, scoop out the meat (or liquefy with booze), and jam a spigot in the front.